Justin Timberlake Archive - Introducing our very first #TNKidOfTheMonth! You are here: Home / News / Introducing our very first #TNKidOfTheMonth! 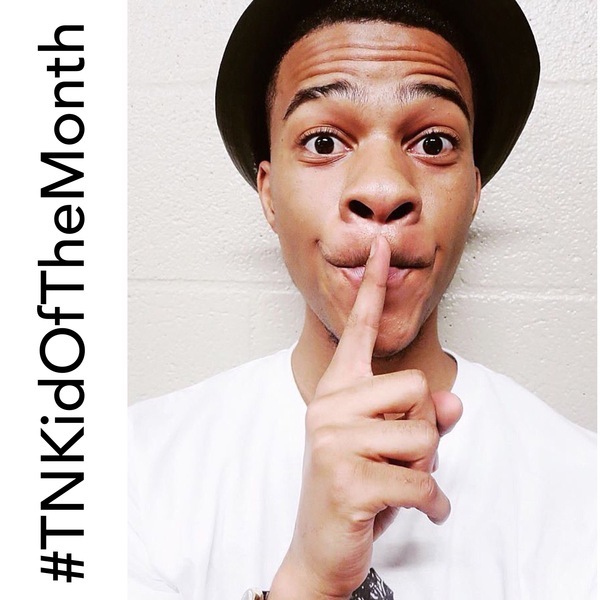 Introducing our very first #TNKidOfTheMonth! TN Kids! Your submissions for #TNKidOfTheMonth blew us away. We loved the range of submissions - life long fans, new fans, musicians, artists, dancers, and everyone in between. Your stories of what being a TN Kid means to you and experiences within the TN Kid community were so inspiring. There are so many lovely TN Kids that it was a really hard decision. For February, we picked Roddrinskee Johnson, an aspiring musician from Texas who believes that being a TN Kid means to exude "kindness, charisma, and humility." This TN Kid's video really caught our eye. We love his musical covers and that he's chasing his dreams! Thank you so much for all of your submissions! Just because you weren't picked this month doesn't mean you won't see your name up here in March. If you have not yet submitted your application to be March's #TNKidOfTheMonth, you have until March 15th. Full details on how to apply HERE. Check out Roddrinksee's videos and a few selections from his application below! A TN Kid exudes kindness, charisma, and humility, and I think I have those qualities. My only pet peeve is when people don't take risk and follow their dreams. Being a TN Kid means being who you are and enjoying all of your imperfections. I've been a TN Kid for about 10 years! When performing, you should give it all you got! Always have a spirit of excellence. JT, you are one of the few people in the music industry that seem to really enjoy what you do and that's so admirable. Also, I absolutely ADORE your bromance with Jimmy Fallon. Reminds me of me and my best friend! I remember listening to "Losing My Way" and crying because it touched me so much. I felt like I was the guy he was describing. It hit close to home. What's your favorite JT song? Hands down, "MIRRORS." One of my all-time favorite songs period. love this bro amazing just trust yourself!!! OMG!I've imagined this, but it's not.It really hurts. Wow beautiful cover and believe yourself bro believe me I want to singer when I grow up and I believe I can do this and if you believe In yourself you make your dream come true that what I do and I so happy when I saw this!!!!???????????????? Congrats! Great job covering Mirrors! Love the message in this video! Great story!!! Congrats to making the first TNKidOfTheMonth!!!! Love his story, great choice!! Hoping to be one of the #TNKidOfTheMonth soon!